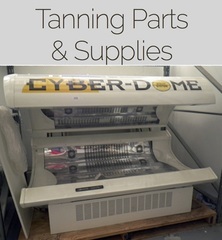 Tanning Beds, Parts, Lamps, Lotions, T-Shirts, Bags, Shipping Boxes, Office Furniture, Electronics, Shelving, CAT Electric Forklift and More! 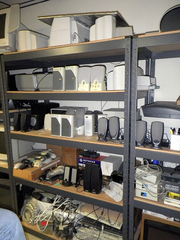 Complete liquidation..1st of 2 auctions. AUCTION CLOSING: Fri. March 24, 2017 beginning at 2:07 PM. Bidding closes on the first item at 2:07 PM, then closes at a rate of three items per minute thereafter in posted order until bidding on all items has concluded. This auction has an auto-extend feature which adds time on whenever someone bids in the last 3 minutes. It will continue to add time as long as anyone is bidding. Please remember to refresh your browser every minute to see current time remaining; the clock does not countdown in seconds, only minutes. REMOVAL: Tues. March 28th and Weds. March 29th from 10:00 AM to 3:00 PM both days. Removal must be completed by Weds. March 29th. If you have purchased and will not be able to pick up for any reason please contact the auction company immediately so that we can give your items to someone else. No refunds or chargebacks will be allowed whatsoever for abandoned purchases in accordance with the additional terms of the auction below…but if we can find someone to take your items, you will not be charged a removal fee. PLEASE BID WITH CARE AND DOUBLE CHECK THE CONFIRMATION PAGE BEFORE SUBMITTING YOUR BIDS! Measurements where given in the catalog descriptions are approximate and listed as follows (unless specified otherwise): Width (right to left) x Depth (front to back) x Height (top to bottom). 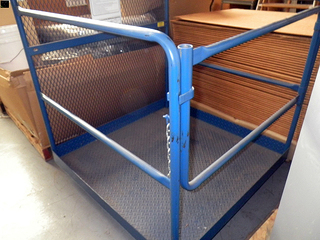 Some large items may require disassembling or special equipment to remove. Come prepared with proper vehicle, equipment, packing materials, boxes and manpower to load your purchases. We do not provide staff to pack, carry or load your purchases. If buying larger items, please be sure to bring additional manpower with you to load. PLEASE NOTE: Ground level and dock height loading is available. Please bring extra help to load your purchases, auction company does not provide loading assistance. 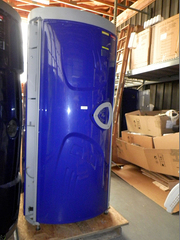 There will be a forklift onsite that we will assisit with loading of the granite top consoles, they are very heavy. 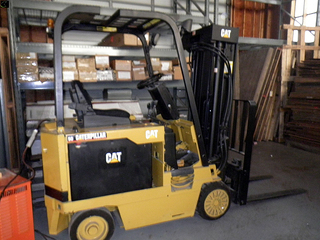 We recommend that you bring your own pallet jacks, carts and hand trucks to the site. Please bring boxes / tubs and packing materials as may be needed, tie downs, rope, etc… to pack up and secure your purchases. REQUIRED REMOVAL PROOF OF PURCHASE: (1) Signed paid invoice that will be left with the auction company. Plus you will need to show your: (1) Buyer’s Driver’s License and (2) Credit Card that was used to for the purchase. If you are not picking up yourself and will be sending someone on your behalf, that person must bring the signed paid invoice, a copy of the buyers Driver’s License and a copy of the front and back of the buyer’s Credit Card (with all but the last 4 numbers blacked out). We apologize for any inconvenience that this may cause, but these measures are being implemented because of an increase in credit card fraud. Please contact the auction company at 717-268-0020 if you have any questions. SHIPPING INFORMATION: The auction company does not handle shipping directly. Buyer is welcome to make their own shipping arrangements; but the auction company will not pack, palletize, crate or load purchases…make sure that your shipper will handle all of this for you. On all purchases that are to be shipped theBuyer will need to email or fax to the auction company prior to pick-up a (1) signed paid invoice (2) copy of the buyer’s Driver’s License and (3) copy of the front and back of the credit card (with all but the last 4 numbers blacked out) that was used to for the purchase. This auction is tax exempt in PA, 15% Buyers Premium will apply. See additional Terms and Conditions of Sale below. 2. NO TAX on THIS AUCTION!! Applying for Tax-Exempt Status: Some bidders may be exempt from payment of applicable taxes. If you wish to apply for tax-exempt status, you must submit a completed copy of the Auctioneer’s tax-exempt form prior to this auction’s closing. Please note that the Auctioneer requires bidders to submit a new tax-exempt form for every sale. Once you have completed your tax-exempt form, please ensure it includes your bidder number and the date of the auction, and fax the form to 703-997-8957 prior to the sale’s closing so that we can review your information. If you do not follow the procedures discussed in this paragraph, the Auctioneer will be unable to consider identifying you as exempt from taxation, and you will have to apply directly to the applicable state for a refund. Please also note that, depending on the state whose sales tax applies, submission of the Auctioneer’s tax exempt form may not be sufficient to entitle you to tax-exempt status. Please review the form and its contents carefully, and contact the Auctioneer with any questions you may have. 29. Governing Law: These Terms and Conditions will be governed by and construed under the laws of the Commonwealths of Virginia and Pennsylvania.